DT Swiss has finally unveiled its new trail fork, and it’s called the F 535 ONE. Featuring 35mm diameter stanchions and up to 160mm of travel, the F 535 ONE is the biggest and burliest fork to come from DT Swiss. The F 535 ONE will come in both 27.5in and 29in options, with each accommodating up to a 2.8in wide tyre. From all reports, DT Swiss has been working on this one for a good few years now, with the goal of building a mid/long travel fork that could go up against the likes of the RockShox Pike. Given the size of the task at hand, DT hasn’t rushed into releasing the F 535 ONE. The Swiss engineers knew that if this fork wasn’t perfect, or if it had durability issues, that it would be game-over for the brand’s suspension aspirations. 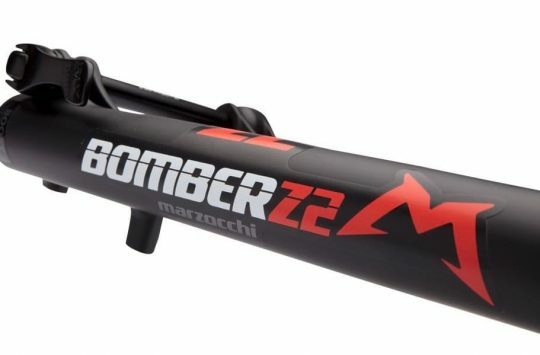 Its performance would also have to be top-notch to sway consumers away from bigger suspension brands like Fox and RockShox. With that in mind, the F 535 ONE comes with some interesting features that DT Swiss says makes for a plusher, more sensitive and ultimately higher performing fork. The new DT Swiss F 535 ONE suspension fork. Tidy bolt-on covers for both top caps keep the F 535 ONE fork looking clean. Carried over from the R 414 shock I reviewed, the Liné-Air spring combines an air positive spring with a coil negative spring, with a transfer port between the two to balance and equalise the pressures – therefore keeping the spring behaviour consistent regardless of rider weight. Where things get interesting is the ‘Coilpair’ spring. This is a small coil spring that works as a sort of ‘helper spring’ as the fork eases into the travel. The coil spring is only operable for the first 8mm of travel, with the goal of providing a more supple start to the fork’s movement. Formula uses a similar system on its Selva, 35 and 33 forks, and it creates a very smooth starting stroke. Going one step further, DT Swiss has implemented a feature to the compression damping called Plushport. Plushport introduces position-sensitive damping to the fork, which means the compression damping is different depending on where you are in the travel. Ultimately, Plushport is about making the fork feel uber-smooth up until the sag point, while increasing the damping support as you get further into the travel. You can adjust compression damping via the blue dial. The grey lever provides three pre-set positions you can adjust on the fly without tools. 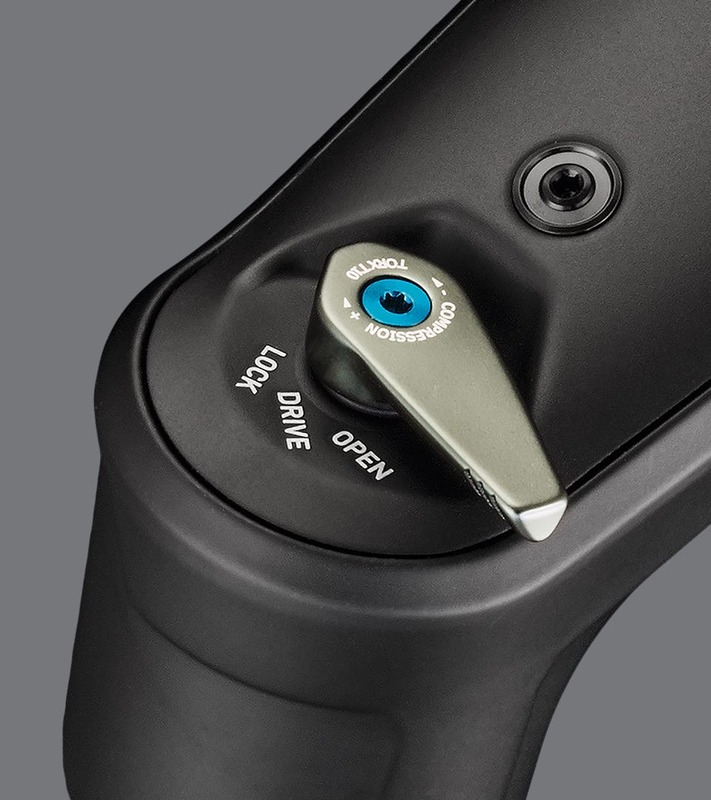 You still have control of the level of compression damping though, which can be adjusted via the small blue dial at the top of the right hand fork leg. You use a small T10 torx key, which is hidden inside the end of the QR15 axle. 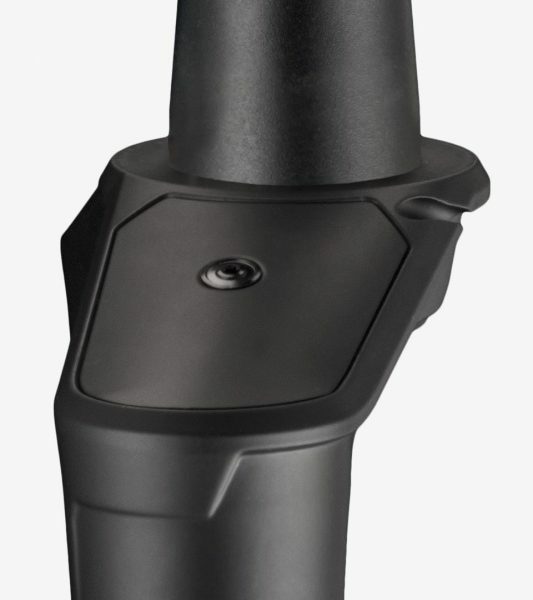 The same torx key is used to adjust rebound damping at the bottom of the same fork leg. 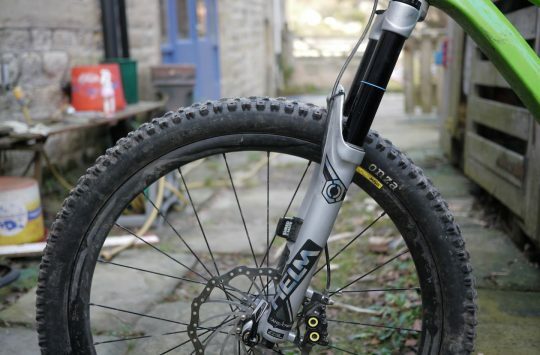 A setup chart on the fork helps you to determine your starting air pressure based on your riding weight, and rebound settings are also listed in the same chart. As for compression damping? DT Swiss actually recommend most riders leave this wide open. There’s a MacGuyver T10 torx key hidden inside the 15mm thru-axle. 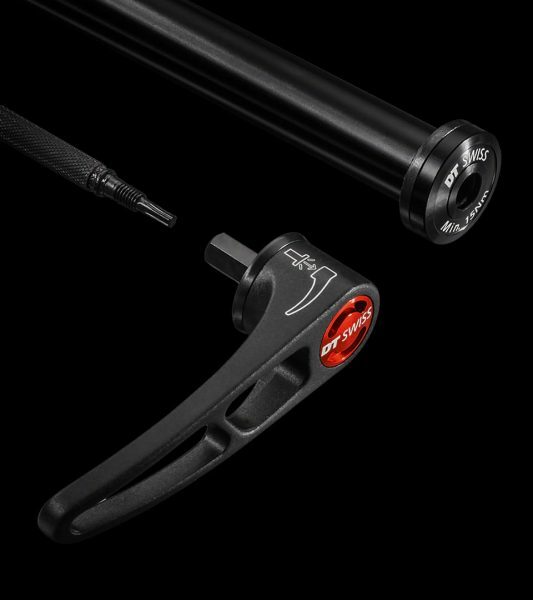 As well as adjusting the damping and the air pressure, DT Swiss allows you to alter the spring curve and bottom-out support by using plastic pucks that sit inside the air spring. Just like adding or subtracting volume spacers in other brand’s forks, you can shrink the volume for a more progressive feel, or increase volume for a more linear feel. In addition the F 535 ONE fork, DT Swiss also has a new shock. Called the R 535 ONE, the rear shock is designed to match the fork and encompasses many of the same technologies including the Linear spring and the Incontrol damping system. Fundamentally, it isn’t all that different from the R 414 shock, though the new R 535 is available in Metric and Trunnion mount sizes. If you wanted an R 414 shock in a metric size or with trunnion mounting, this is the shock for you. For more information on the new DT Swiss suspension range, head to the DT Swiss website, or contact Madison for local availability. 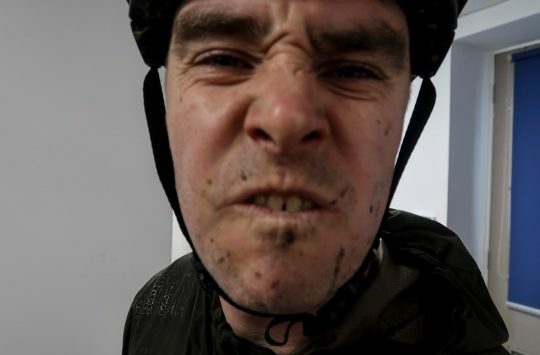 Wanna win a £2700 Pivot 429 Trail Frame? Enter the 2018 Pivot TwentyFour12 right here! @jamiesilo – Or is it a new super-dooper exclusive technology we’ve never heard before?? That’s meant to be a positive air spring and a negative air spring – a new spring design for DT Swiss, which has previously used an air positive spring with a coil negative spring.